Sometimes the only issue that bothers a person about their nose is the tip. 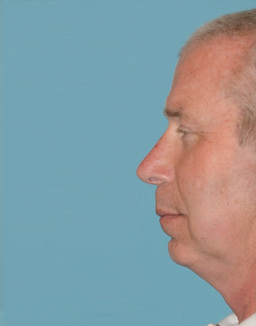 In this case, this gentleman was concerned about the difficulty breathing on the right side of his nose and how “something” was protruding into his right nostril; his nostrils didn’t look symmetric. 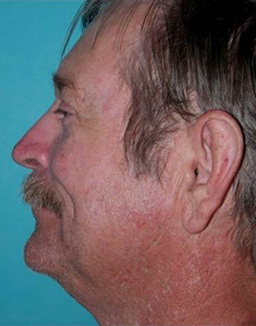 The problem can be seen in his “before” photo. 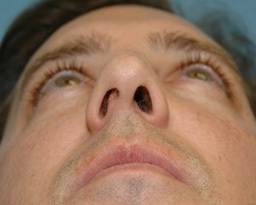 The structure protruding into his right nostril is the end of his septum. 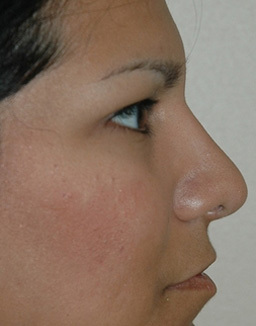 The septum is simply the structure on the inside of your nose that divides the left and right nostrils. The septum at the end of your nose is made of cartilage and is commonly bent by genetics (born that way) or through injury. 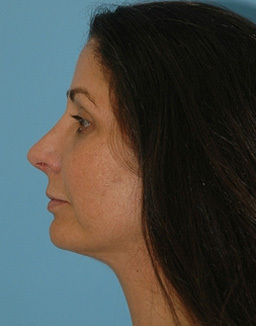 The correct treatment option for this condition involves positioning the end the septum back to the midline, and further supporting the placement with small, thin grafts to prevent the septum from curving back. 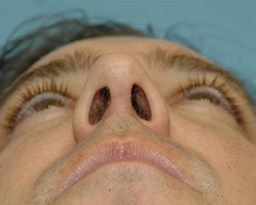 As can be seen in the “after” photo his nostrils appear more symmetric and his nasal tip looks better too. Lastly, what is not seen in the photo is that he is breathing better and more comfortably, especially during exercise and while sleeping.